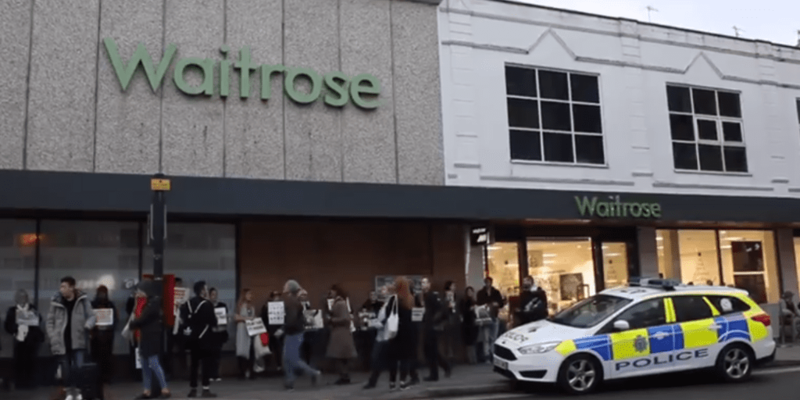 Why Is Everyone So Angry About The Vegan Protest In A Brighton Waitrose? Vegans activists have faced an intense backlash following an anti-meat protest held in a Brighton Waitrose. But why are people so angry? This week activists from Direct Action Everywhere stood beside the meat aisle in the supermarket on Western Road. 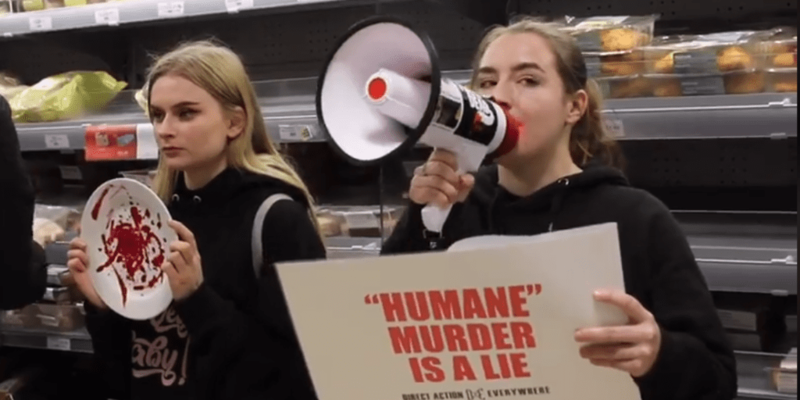 They read out provocative statements such as ‘you can’t shop in peace when you are buying death’, and held boards stating ‘turkeys are killed between nine and 21 weeks old. They are just babies’. Sussex Police were called to the scene, but no arrests were made. This was a peaceful protest which featured heartfelt pleas against the killing of turkeys at Christmas. But the reaction had been one of outrage, disgust and aggression. 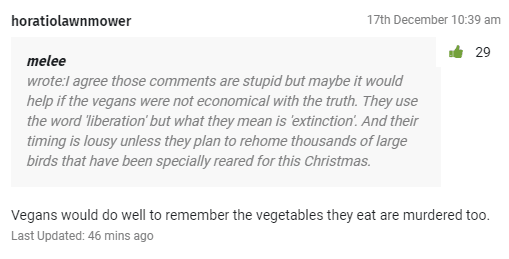 Vegans are used to being interrogated about every aspect of their existence in attempts to find some loophole in the lifestyle – ‘but plants feel pain too’ being one frequent, idiotic comment. 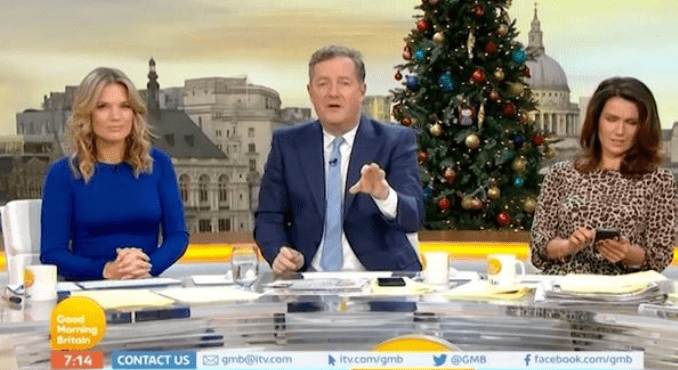 Resident Brighton buffoon Piers Morgan of course jumped on the bandwagon and bizarrely attacked the protesters on Good Morning Britain. 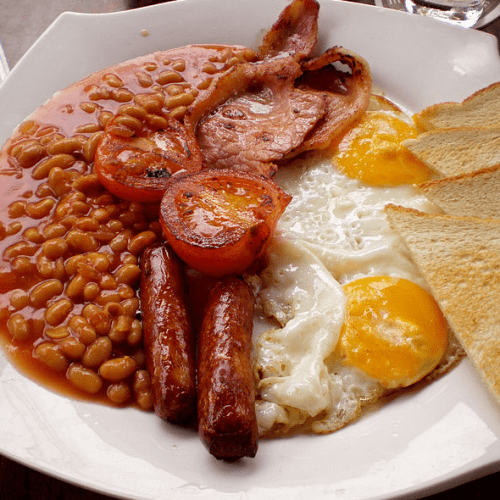 He said: “Here’s my issue with these aggressive vegans – they all eat bread or vegetables. Veganism is about attempting to reduce animal suffering as much as possible. This does not mean vegans should be held to unrealistic standards which do not apply to everyone else, or attacked with non-science. Reactions in Brighton’s local newspaper, the Argus, included these typical attitudes to veganism. One user of Facebook group Peacehaven Gossip berated the protesters, demanding similarly high standards. The word ‘hypocrite’ is thrown around regularly by meat-eaters hating on vegans. 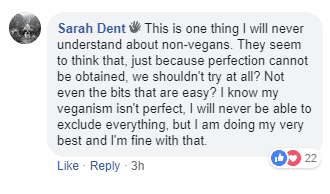 The use of the insult shows there’s a common misconception that vegans think they are living a perfect, holy lifestyle. In modern society it’s almost impossible to avoid every single product which vaguely relates to a hint of bad ethics. But veganism is about making an effort, particularly for animals. 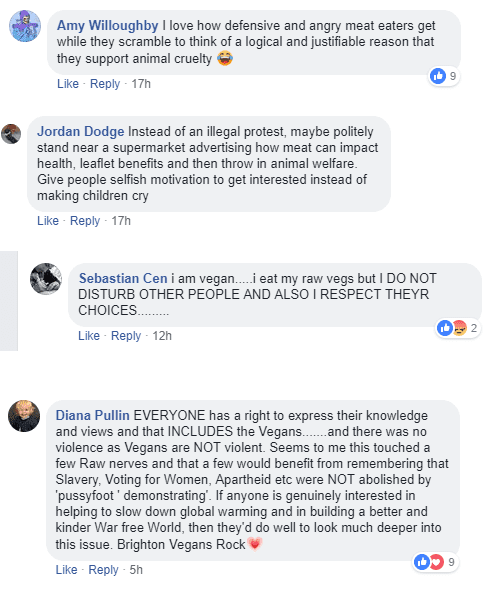 To criticise someone for trying their best not to cause harm is a strange approach – which was highlighted by vegans from Brighton on social media. Meat-eaters are often outraged by vegan protests as they feel they should have their life choices respected, and never challenged. 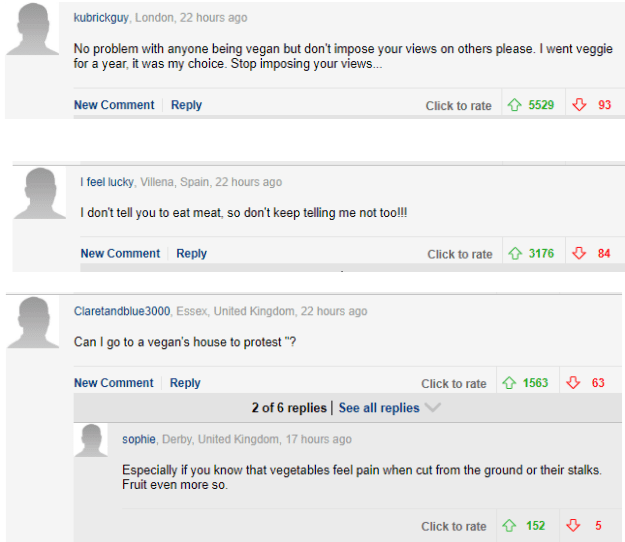 An article about the protest featured in the Daily Mail, and the comments section highlighted this widely held belief that anyone should be allowed the choice to eat meat in peace. But vegans from Brighton pointed out that animals have no choice in their suffering at the hands of humans. This form of protest is a contentious topic within vegan circles, too, and some feel it isn’t the most effective approach. 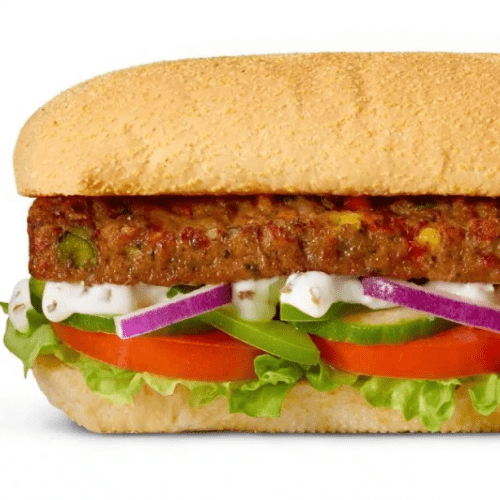 Some vegans argue that strong, visible, vocal action is vital to spread the vegan message, whereas others feel a less invasive approach is likely to make veganism a more appealing lifestyle. Mirren Clark, a vegan from Brighton who works in Oxford Christmas market, told Totally Vegan Buzz she’s heard customers discussing recent vegan protests. “As a result I’ve been able to talk about the impact on our health and the planet,” she said. Clark argued that invasive protesting allows ‘amazing’ activists like Earthling Ed to appear on This Morning and BBC News, and Joe Carbstrong on Good Morning Britain. “They’re representing us and changing the way people view vegans. They expose the lies we have been programmed to believe, for the benefit of corporate greed, which otherwise would be unheard by the general public. 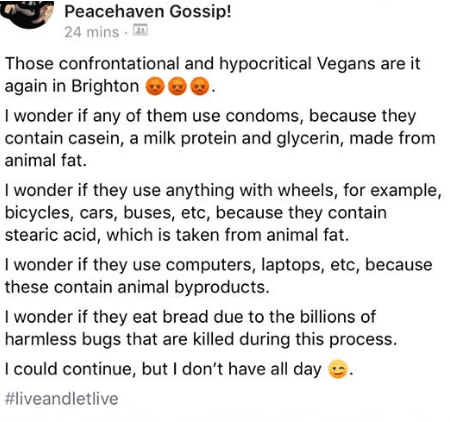 Vegans in Brighton discussed the merits of the approach by Direct Action Everywhere on social media. 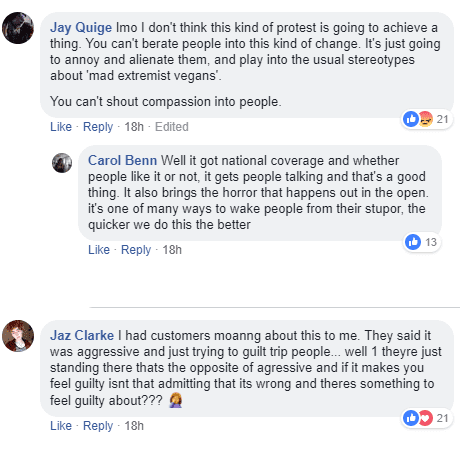 Whether or not this is the approach you would personally take, it’s hard to argue against a protest which draws vegan issues into the mainstream media. One thing is for certain – a group of protesters who are attempting to reduce animal suffering do not deserve abuse, no matter what people think of their methods. During Direct Action Everywhere’s protest, one vegan spoke on a loudspeaker to spread the group’s message. She said: “Animals are not things. Lives are not commodities. It’s time to end these cruel and bloody traditions. Take the death off your plate this Christmas. “Around ten million turkeys are slaughtered this time of year so they can end up on your Christmas table in the United Kingdom. “Catching and transporting birds can cause considerable pain and distress. “Many birds may be injured whilst being removed from sheds and put into crates. Poor handling frequently results in bruising, skin grazing and broken blood vessels. 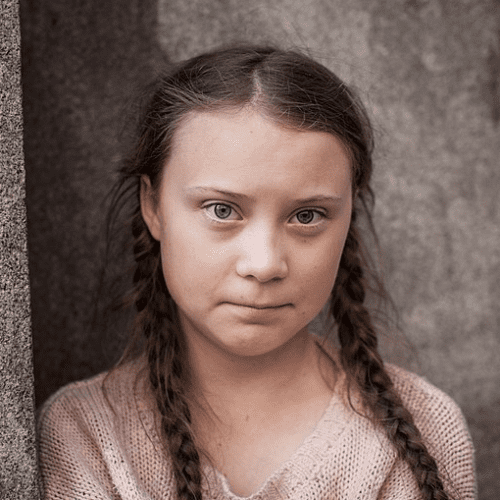 “Loaded into trucks, piled next to their friends and not knowing where they are headed, no chance of escape. What do you think of Direct Action Everywhere’s protest? Tell us in the comments section below!